On an annual basis, as required by federal regulations, UO produces Affirmative Action Plans (AAPs). As of the 2018-19 AAP Year, UO has engaged Biddle Consulting Group to assist in the preparation of our plans. Biddle has recommended some process changes to better align our reporting dates and incorporate the most current, complete and accurate set of data (snapshot date) with which to generate the AAPs. The effective date of the plans will remain March 1 with a new snapshot date of February 28, resulting in a later release of plan information on the AAEO website. 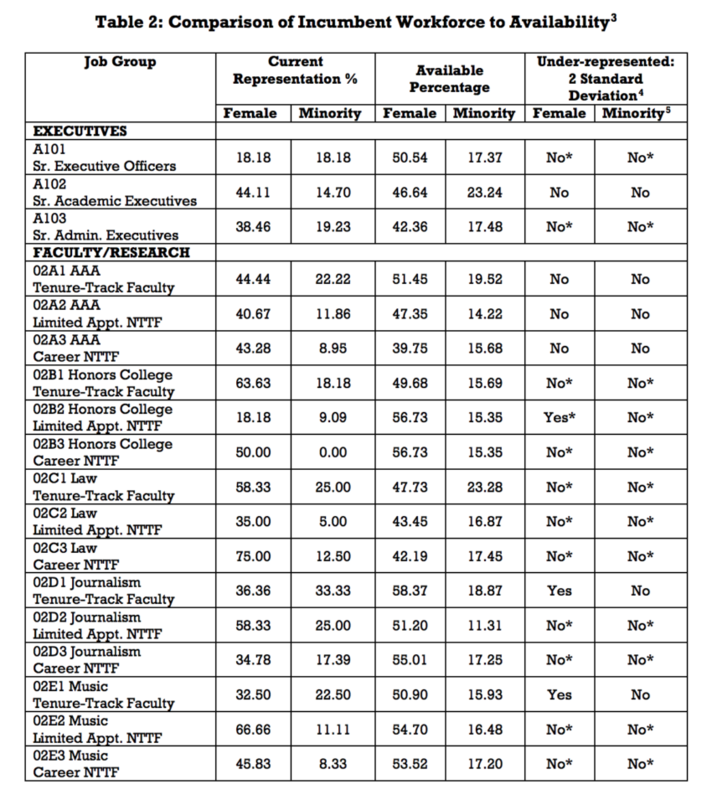 UO is spending millions on the VPEI’s office, thousands of hours of faculty time on “Diversity Action Plans”, is requiring search committee members to take questionable Implicit Bias training, is being sued for gender discrimination, and is spending millions more on the Under-represented Minority Recruitment Plan – but we can’t even file a basic federally required breakdown of employee race and gender on time without hiring a consultant. Tagged AAEO. Bookmark the permalink. Discriminating against the majority does nothing to cure any wrong doings of the past, but it sure does make some new ones in the present. I never owned a slave. I’m a wage-slave like most of you. “Shared sacrifices” and all that. Stronger together, right? My sons will be white men some day, why should they be discriminated against in the name of this shallow, LITERALLY skin-deep “diversity”? Because they are of European descent and have XY genes? Affirmative action isn’t reparations for the past, either in effect or in design. Arguing against it as if that’s what it was meant to be just shows that you don’t understand the policy. Affirmative action is conceived and legally justified as a way to prevent continuing discrimination against groups that face pervasive social inequality in the present day. That’s why updated data on the incumbent workforce and availability (i.e., the table that UOMatters screenshotted above) is important. The heart of an affirmative action plan is ongoing auditing and analysis so an employer can identify flags of potential discriminatory practices, give them closer analysis, and remedy them if necessary. Whether affirmative action is good public policy, and whether UO is executing it effectively, are two separate questions. UOMatters seems to have negative views on both, but that doesn’t mean they’re the same thing. People who support affirmative action as policy have every reason to want UO to be carrying it out competently. Interesting. What’s the criteria for being released from further monitoring? That is, what does an organization have to do to be considered “no longer a problem”?